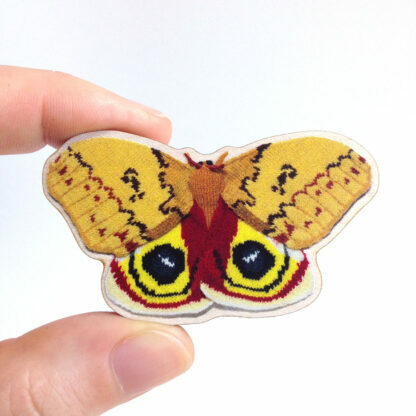 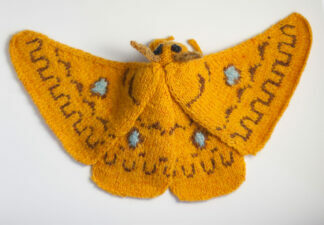 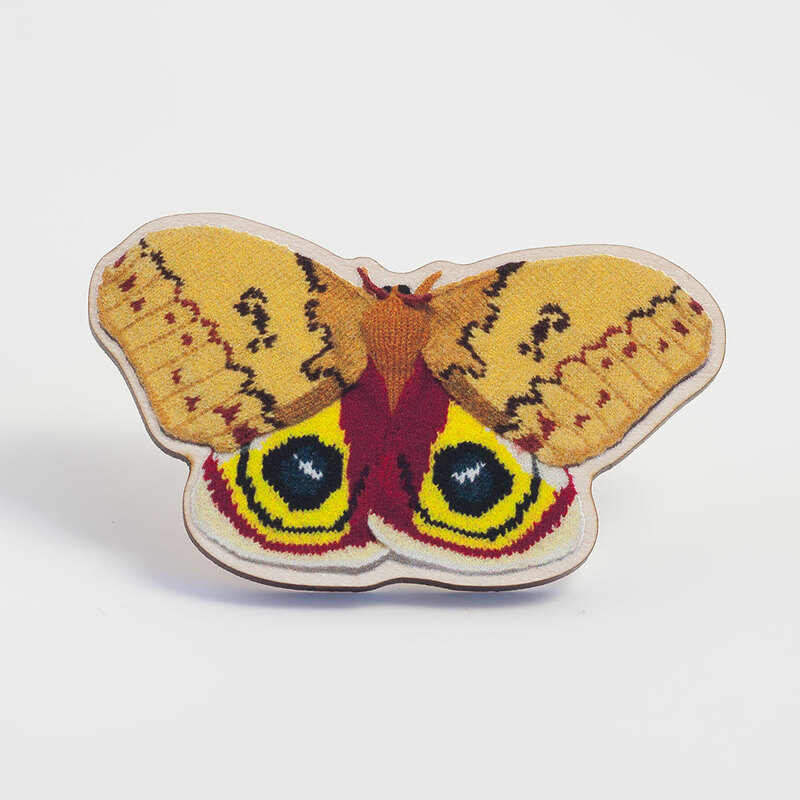 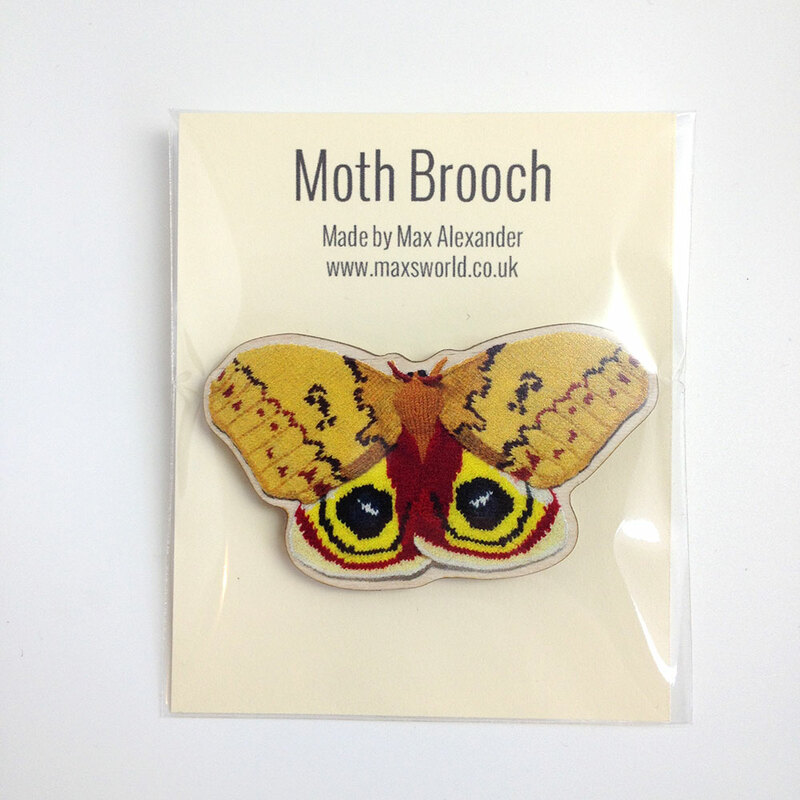 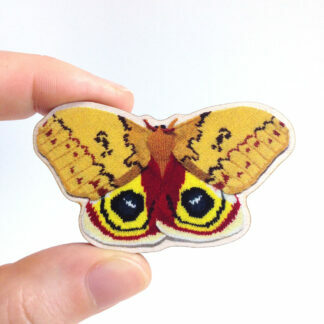 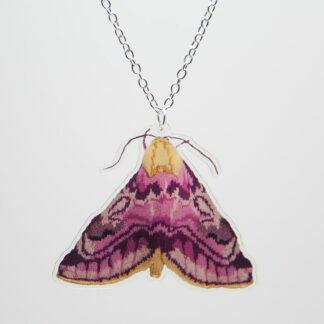 This brooch features my knitted Automeris Io moth. 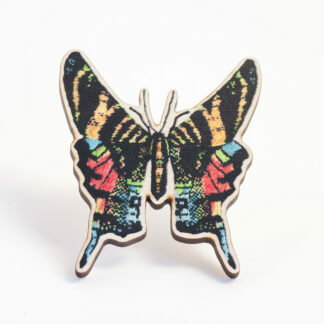 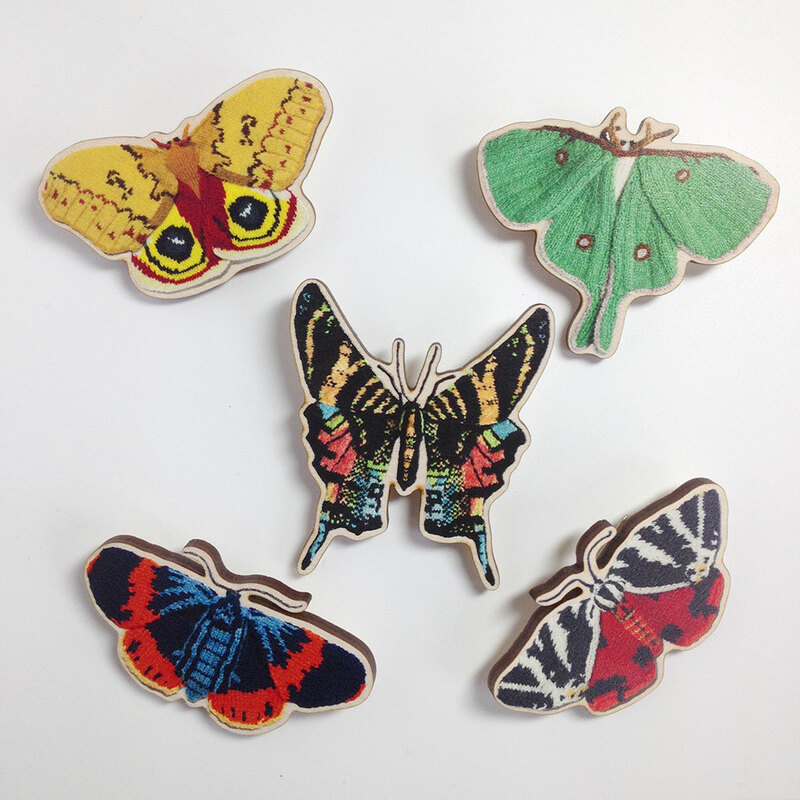 It is printed onto 4mm wood with a maple veneer and then laser cut and varnished. 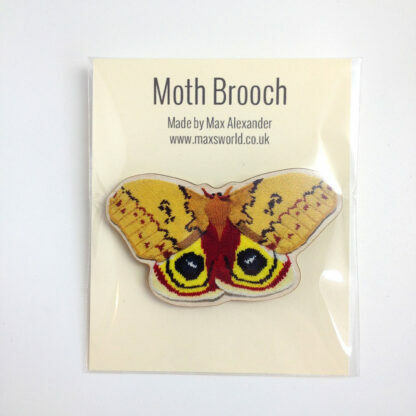 It has a 30mm brooch bar securely glued to the back.